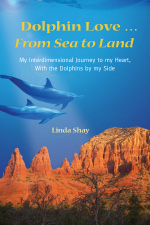 Dolphin Love ... From Sea to Land - Order Now! Dolphin Love is available worldwide through online booksellers. If you live in the United States, we recommend ordering through Amazon. Click here to order Dolphin Love from Amazon.com. 2017 US update: Amazon seems to be having a problem keeping Linda's book in stock! If Amazon doesn't have it, you can also order from Barnes & Noble. If you live outside the U.S., we recommend ordering from your country's Amazon, if there is one, or through The Book Depository. Their price is a few dollars higher, but they offer free shipping worldwide to more than 100 countries. Click here to order Dolphin Love from the Book Depository. Quantity Discounts! If you are interested in ordering 3 or more copies of Dolphin Love, either as gifts, or for resale to your clients or customers, you can order directly through us at a significant discount. Please e-mail us with your location and the number of books you want to order.